In 2014, NPR’s Serial podcast shattered expectations of the format, attracting audience sizes on par with major broadcast television series. Alongside this meteoric rise to popularity: Mail Chimp. Thanks to a 20-second ad at the beginning of each episode and a Twitter-polarizing mispronunciation of the advertiser’s name (#mailkimp), Mail Chimp brought the limelight to podcast advertising. With expanding audiences and recent improvements to measurement infrastructure, brands should pay close attention to podcasting as an advertising medium. As podcast listenership grows, especially among younger consumers, brands are using the format to reach people who skip ads elsewhere or who can’t be reached with other media. In general terms, we know younger demographics prefer ad-free or ad-light experiences, they consume less broadcast radio and television, they consume subscription OTT content like Netflix, or, especially among Gen Z consumers, they take a publisher-agnostic approach to discover content from relatable creators—but they listen to podcasts. As podcast listenership grows, especially among younger consumers, brands are using the format to reach people who skip ads elsewhere or who can’t be reached with other media. Although limitations in podcast ad tech may have previously kept some brands from launching large-scale activations, the latest developments in industry adoption, ad-serving tech, and consumer behavior portend exciting possibilities for advertisers to take greater advantage of the format’s distinct strategic value. With over 550,000 podcasts available on Apple Podcasts, content publishers are rushing into the podcasting space. This is driving an expansive ecosystem of high-quality entertainment and news content that appeals to an increasingly mainstream audience. The New York Times’ The Daily attracts over half a million listeners every weekday, ESPN and Barstool Sports have attracted masses of sports fans, and original content networks like How Stuff Works have established enormous loyal fan bases across a broad range of owned series. Listeners engage with a broad range of genres and topics, in different settings and times of day, and on multiple devices. The expansion of podcast hosting services has also fostered ease of access to podcast content. The Apple Podcasts app has long come pre-installed on iOS devices; now, additional podcast apps like Stitcher (acquired by podcast advertising network Midroll in 2016) are strengthening their platforms, and streaming music apps like Spotify now offer podcast content as well. These content and access developments have helped drive growth in podcast listenership, and young audiences are leading the way. Edison’s latest Infinite Dial reported that 24 percent of Americans 12 or older (an estimated 67 million people) have listened to a podcast in the last month—of this group, 44 percent are age 18 to 34, which represents a large chunk of millennials, and the oldest ranks of Gen Z. On the smartphone, podcasting’s Share of Ear (released alongside 2017 Infinite Dial, and included over 8,000 one-day audio diaries) is tied with AM/FM content, and leads AM/FM content among 13 to 34 year olds. And among podcast listeners, podcasts are the number one audio source by length of time of consumption. 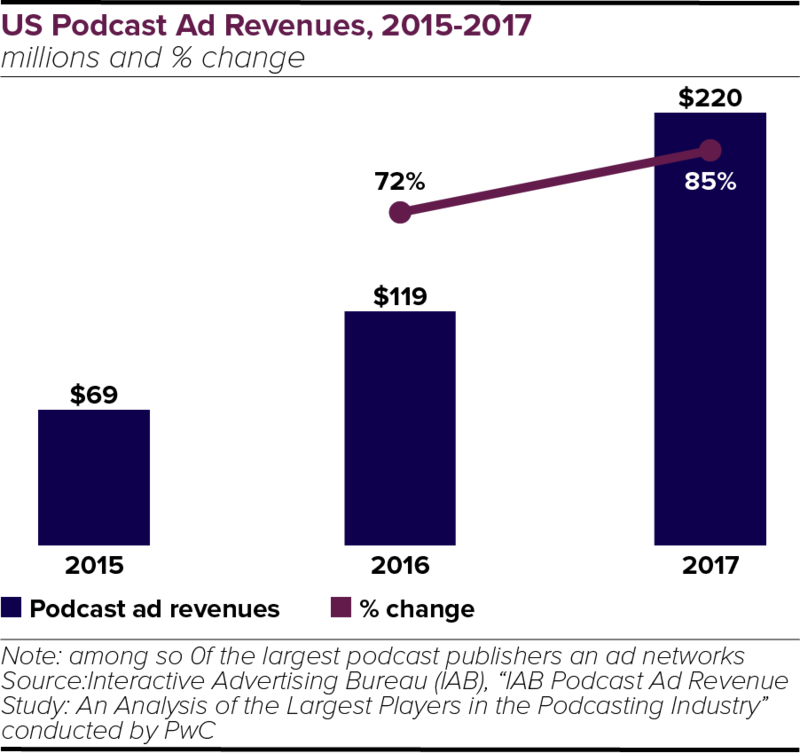 Advertisers and brands have long understood that podcast audiences are a unique segment of the population. Podcast listeners are more likely to be highly educated and high earning, they are selective with their media consumption, and they are averse to ad interruptions during their media experience. Thus, the inventory able to reach them is getting smaller overall, and banner-blindness threatens the effective reach of traditional media. Additionally, podcast listeners are an engaged audience who have opted into the content. The lean-forward listening experience has shown to correlate with strong audience responsiveness: 61 percent surveyed said they purchased a product or service they learned about from a podcast. Brands who advertise via direct publisher deals have found a powerful channel to create compelling and engaging brand interactions. Of course, audience traits may vary depending on what, how, and when users are consuming podcast content. 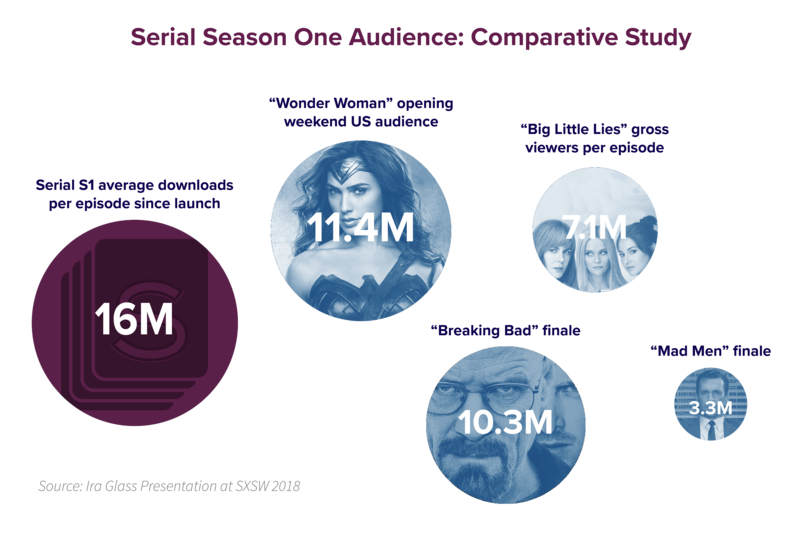 With content choices expanding rapidly and attracting mainstream listenership, content no longer defines the format—audience does. Although the tech-savvy vanguard led the way in podcast listenership, there are still “huge underserved potential audiences for new forms of spoken word media” (Infinite Dial) and trends indicate they are indeed adopting the format. Given the growing pool of Gen Z and millennial consumers in the podcast audience, now is a valuable opportunity for brands to align themselves with the next generation of media consumption. Apple’s Podcasts platform, which has long suffered from anemic measurement capabilities, now features a beta Podcasts Analytics feature which offers metrics including play-throughs of individual episodes. Apple also acquired Pop Up Archive, a company that developed a contextual search tool for podcasts, hinting at a move by Apple to enhance its content recommendation features. Third-party measurement providers like Podtrac offer detailed insights for publishers and advertisers, allowing brands to reach audiences based on their media affinities. The Interactive Advertising Bureau released an update to its “Podcast Measurement Technical Guidelines,” prompting podcast hosting services to adopt a new standard and enhance the accuracy of download statistics. Lex Friedman, executive vice president of sales and development at Midroll, predicted in an agency blog post that these moves toward standardization will lead to clearer, more dependable ad buys. He touts that “by the end of 2018, we’ll be able to sell on a listen basis… At the end of 2018 none of the objections we get from brands will be based on measurement.” That has yet to be fully realized, but the industry and content providers keep inching toward larger adoption of the latest measurement standards. Podcasting ad revenue broke the $200 million mark in 2017, an 85 percent increase from the previous year, and is projected to reach $500 million by 2020. New standards for media verification and attribution will encourage Fortune 500 brands, who have historically hesitated to add podcasting to their media strategy, to use podcasts to achieve both branding and direct response goals. Indeed, Proctor & Gamble’s advertising activation for Gillette illustrates big brands’ moves toward incorporating podcasts into their core media strategies. After new shaving brands Harry’s and Dollar Shave Club launched witty ad campaigns (including podcast activation) for low-cost razor delivery services, Gillette’s market share fell over 10 percent. In late 2017, Gillette began advertising on podcasts as well as offering a razor subscription service. While Gillette adapts to try and win back market share from their disruptive competitors, all brands can learn the value of aligning themselves with new generations of consumers. Many large brands are already advertising on podcasts: Toyota, HBO, Dunkin’ Donuts, and T-Mobile are just a few that advertise on the Midroll network, the world’s largest podcast advertising network. As more brands enter the podcasting space to reach increasingly broad audiences, not all of them are necessarily advertising directly to the youngest cohorts of media consumers. Yet we continue to see a strong trend of brands appealing to younger, media-savvy early adopters, and the promising scale of young listeners should encourage all types of brands to establish a presence in the space and align themselves with the incoming generation of media consumers. When granted detailed analytics and audience insights, advertisers can partner with publishers who facilitate scaled media buys and custom executions. These publishers can contract host-read ads, and brands can buy podcast media across many publishers without needing to negotiate individual sponsorships. Podcast advertising even allows for dynamic ad insertion, allowing brands to place pre-roll, mid-roll, or post-roll units and run them across a network of podcasts using contextual targeting. Some brands may find it challenging to trust a host with their messaging, but studies have shown that hosts can stay on-brand and that listeners are more engaged and receptive to a brand message when it is delivered by a voice they recognize and trust. This audience engagement especially aligns with Gen Z’s receptiveness toward non-traditional celebrities and personalities (i.e. “influencers”) who have shown success at delivered brand messaging on social media. Beyond the ability to reach listeners in a receptive media environment, the current state of podcasting technology offers the ability to target even more granularly than by content alone. Triton’s Tap Ad podcast exchange features DSP integration, thus providing podcast inventory which advertisers can combine with additional online audio sources to execute multi-channel buys. Programmatic podcast buying obviates the task of buying audiences based on content and allows advertisers to use first- and third-party data to reach the listeners they want, no matter which podcast they’re listening to. This technology also allows advertisers to attribute media-driven actions and to use advanced tactics like retargeting. 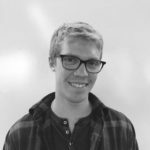 An approach like this breaks podcasts free from their silo and incorporates their audiences into an attributable, comprehensive, multi-channel strategy. By leveraging direct partnerships with content creators and podcast networks to deliver custom host-read ads, brands can reach cord-cutters and ad-averse critical content consumers like millennials and Gen Z with meaningful messaging. Programmatic audio buys at scale may reap enormous benefit from incorporating podcast inventory, where audiences have been shown to be exceptionally responsive to calls-to-action. Media agencies with experience negotiating publisher partnerships, and that have in-house programmatic capabilities, are well poised to take advantage of both strategic approaches. Now is the time for brands and agencies to discover how podcast advertising can amplify messaging and drive actions. The territory is open to rapid iteration and optimization, and those who move first have the most to gain, especially from the somewhat untapped generation of listeners still coming of age.